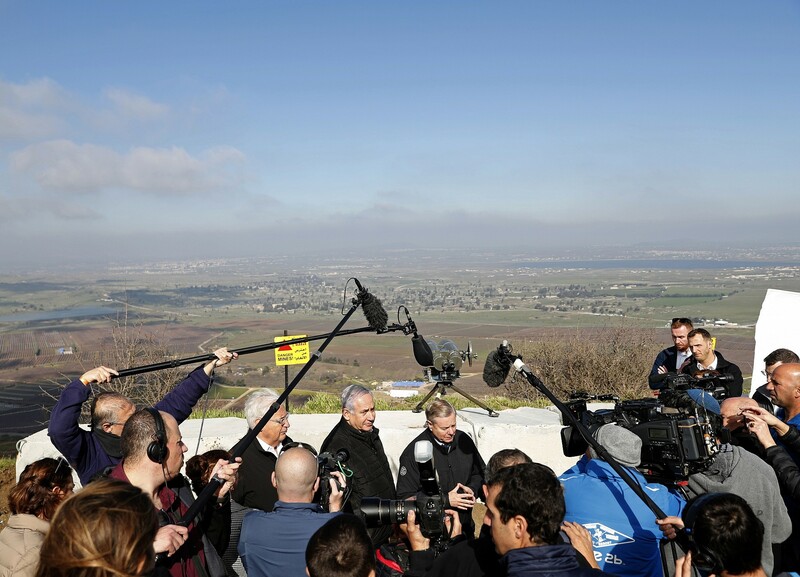 Less than a decade ago, Prime Minister Benjamin Netanyahu was waist-deep in serious negotiations with Syria for the return of the Golan Heights in exchange for peace. But after a civil war that has managed to shake up the whole region and the rise of US President Donald Trump which has done much the same, Netanyahu is on the cusp of what was likely unthinkable in 2010: international recognition of Israeli sovereignty on the strategic plateau, at least in Washington. “President Trump has just made history,” Netanyahu crowed, calling it a Purim miracle. But many American pundits and analysts, including some who have strong pro-Israel bona fides, are expressing doubt as to the move’s practical benefit for Israel. After all, very few in the international community were seriously demanding Israel return the Golan to Syria, and making the current near-annexation official could open a Pandora’s box of unwanted side effects. Ofer Zalzberg, a Jerusalem-based analyst for the Crisis Group, argued that a formal US recognition of Israel’s 1981 extension of its law to the Golan could weaken the administration’s ability to oppose other instances of countries acquiring territory by force, such as Russia’s annexation of Crimea. “Second, US recognition of Israel’s (virtual) annexation of the Golan could lay the ground for US recognition of future Israeli annexation of the West Bank or parts of it,” Zalzberg added. 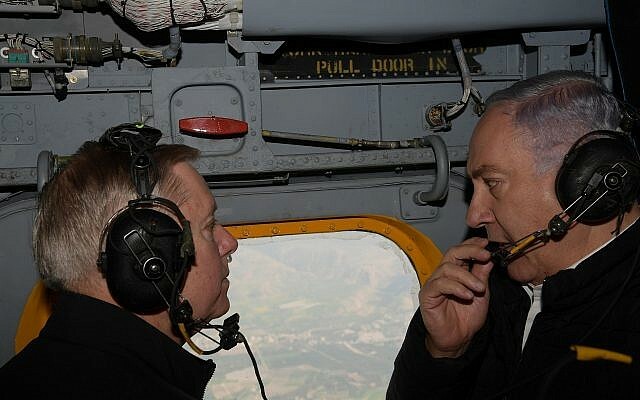 After US Senator Lindsey Graham said he would advance legislation calling for US recognition of Israeli sovereignty over the Golan last week, several US analysts argued that such a move may play well with Trump’s base but would have no positive practical effect on the ground. Netanyahu has argued otherwise, saying that Iran’s attempts to entrench itself in Syria have made Israel’s hold on the Golan more important that ever. 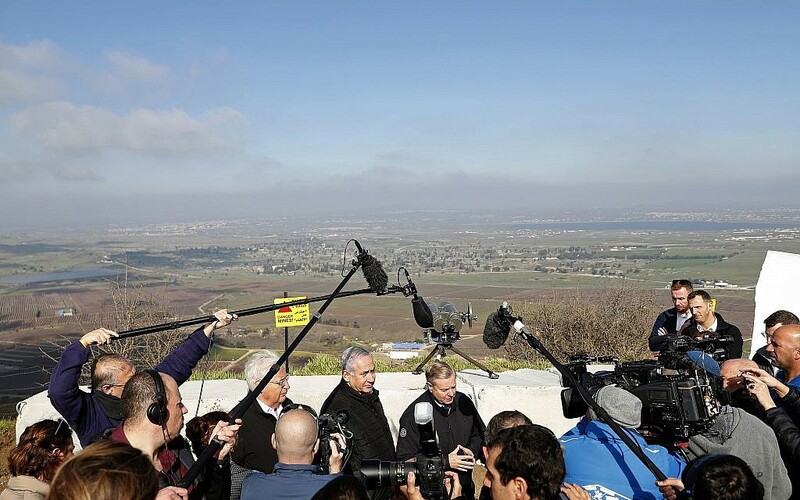 “All of you can imagine what would have happened if Israel were not in the Golan: We would have Iran on the shores of the Sea of Galilee,” he said Wednesday during a meeting with US Secretary of State Mike Pompeo. Despite a 1981 UN resolution — backed by all 15 members of the Security Council, including the administration of Ronald Reagan — which stated that Israel’s extension of its law to the Golan “is null and void and without international legal effect,” the Golan today sits in the center of Israeli consensus, with politicians of almost all ideological stripes welcoming the US president’s intended recognition. 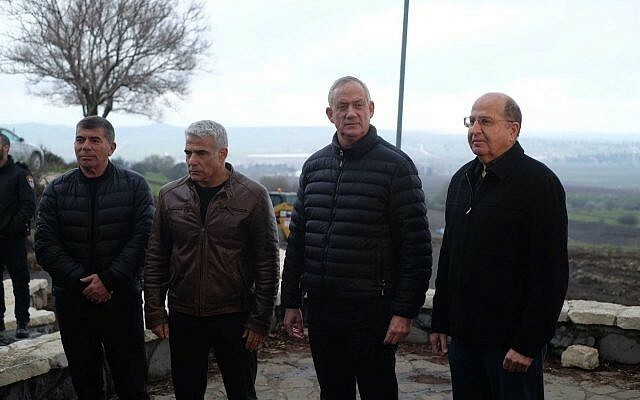 That was underlined when earlier this month the four leaders of the centrist Blue and White party, Netanyahu’s biggest challenge at the polls, ascended the Golan to declare that they would bolster Israel’s hold on the Heights. “On the other side of the border is a dictator responsible for the murder of half a million of his own people. His regime is supported by the Iranians and Hezbollah,” party No. 2 Yair Lapid said then. But many diplomats and international law scholars would argue that a changed security situation, as dramatic as it may be, does not yet justify abrogating UN Security Council resolutions and throwing out decades of international consensus on the small square of land. Dan Shapiro, a former US ambassador to Israel and currently a research fellow at Tel Aviv University’s Institute for National Security Studies, argued earlier this month that the status quo on the Golan — in which Israel’s control was neither welcomed or challenged — served Jerusalem very well. Now, Trump’s intended recognition could actually have negative repercussions for Israel’s standing in the region. “Whatever would be gained by US recognition (few other countries would join) could be countered by renewed international attention to the issue,” he wrote in a lengthy thread on Twitter, which he revisited Thursday after Trump’s announcement. 1. Israel is making a major push for US recognition of Israeli sovereignty in the Golan Heights. Yesterday, PM Netanyahu called for it directly in his press conference with NSA John Bolton yesterday. It's worth considering the pros, cons, and implications of such a move. Not only Russia and the European Union are likely to oppose America’s decision, but Syrian opposition groups as well, including the Kurds, “might — under pressure from Assad or to prove their Syrian patriotic credentials in post-war negotiations — join calls to protest Israeli sovereign claims,” Shapiro argued. Furthermore, Trump’s move may slow down Israel’s secret rapprochement with the Gulf states, he posited. Many Arab governments couldn’t care less about the Golan, but their official stated position is that it is occupied Syrian territory that needs to be returned. A formal US recognition would likely force them to recommit to this policy, driving an unnecessary wedge between them and Israel.